1 Tonight is the 3rd summer concert sponsored by the City of Framingham’s Parks & Recreation department. Last week’s concert was cancelled due to the heavy rains. PLAN AHEAD: Eastleigh Farm will hold a music festival tomorrow, July 14 at the farm from 11 a.m. to 7 p.m.
2.According to Mayor’s public calendar on the City of Framingham’s website, Mayor Yvonne Spicer has no public events, but she will host a coffee with the community on Saturday, July 14 from 8:30 to 9:30 a.m. at Sofa Cafe in downtown Framigham. 3. The undefeated Framingham Frogs defeated Sherborn last night to go 3-0 on the season. Next week, the Framigham Parks & Recreation’s co-ed swim team has three meets on Tuesday, Wednesday, and Thursday. 4. 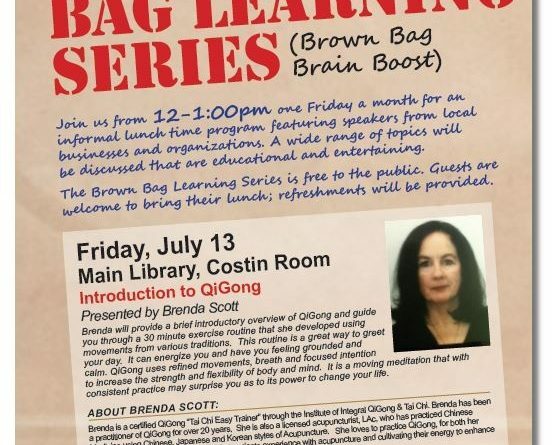 The Framingham Public Library’s Brown Bag Learning Series continues today at noon at the main Framingham Library at 49 Lexington Street. The focus today is QiGong. Brenda Scott will provide a brief introductory overview of QiGong and guide attendees through a 30-minute exercise routine that she developed using movements from various traditions. This routine is a great way to greet your day. It can energize you and have you feeling grounded and calm. QiGong uses refined movements, breath and focused intention to increase the strength and flexibility of body and mind. It is a moving meditation that with consistent practice may surprise you as to its power to change your life. The event is free and will last 60 minutes. 5. Just a reminder, the Memorial Building will close today at 12:30, as part of the City of Framingham’s summer hours. Editor’s Note: SOURCE is doing a site upgrade this week. While the upgrade is being completed, some reports may not appear on the site or in searches. The upgrade will be completed mid this week. Many of the reports that can’t be viewed have video attached to them. Thanks for your patience.